Out with the old, in with the new: Acting Chair Victoria Lipnic was passed over by the Trump administration to lead the Equal Employment Opportunity Commission (EEOC). Fortune 500 executive Janet Dhillon has been nominated for that role. Dhillon is currently serving as executive vice president, general counsel and corporate secretary of Burlington Stores, Inc. She was previously general counsel to J.C. Penney Company, Inc. and US Airways. Acting Chair Lipnic will remain on the commission should Dhillon’s nomination be confirmed. Lipnic’s second term expires on July 1, 2020. She currently serves with former Chair Jenny Yang, Chai Feldblum, and Charlotte Burrows. Jenny Yang’s term ends on July 1, although she has announced she will exercise the legal option of remaining on the Commission for an additional 60 days. Assuming her seat is filled by a Republican and Dhillon’s nomination is confirmed, the EEOC will include three Republican commissioners and two Democrats. President Trump has not yet nominated a replacement for the EEOC’s general counsel position, formerly held by David Lopez. It is unclear at this juncture whether Dhillon will continue Lipnic’s recent emphasis on enforcement of the Age Discrimination in Employment Act, which this year celebrates its 50th anniversary. In a public meeting on June 14, Lipnic noted that the ADEA’s emphasis on ability rather than age in employment decisions is more relevant than ever as the Baby Boomer generation ages. Lipnic also served with Feldblum on the EEOC’s Select Task Force on the Study of Harassment in the Workplace, which culminated in the publishing of guidance aimed at preventing harassment against affected workers. 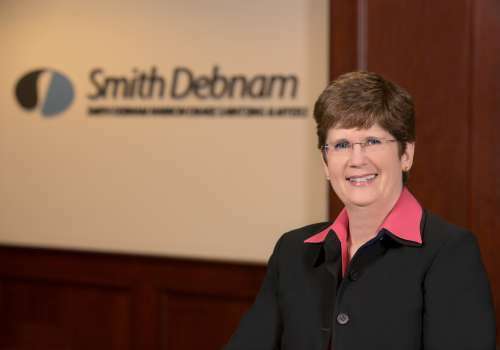 If you have questions regarding this agency nomination or other legal issues, please feel free to contact Connie Carrigan at ccarrigan@smithdebnamlaw.com.